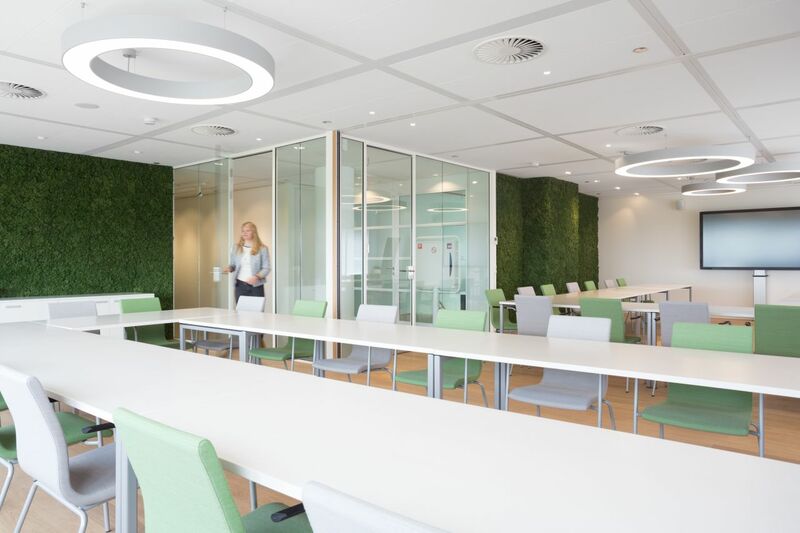 Located on just a short walk from Schiphol airport, Smurfit Kappa opened their new Global Experience Centre and office. The experience centre brings together a place for innovation and creativity as well as an inspiring environment to work together with customers. 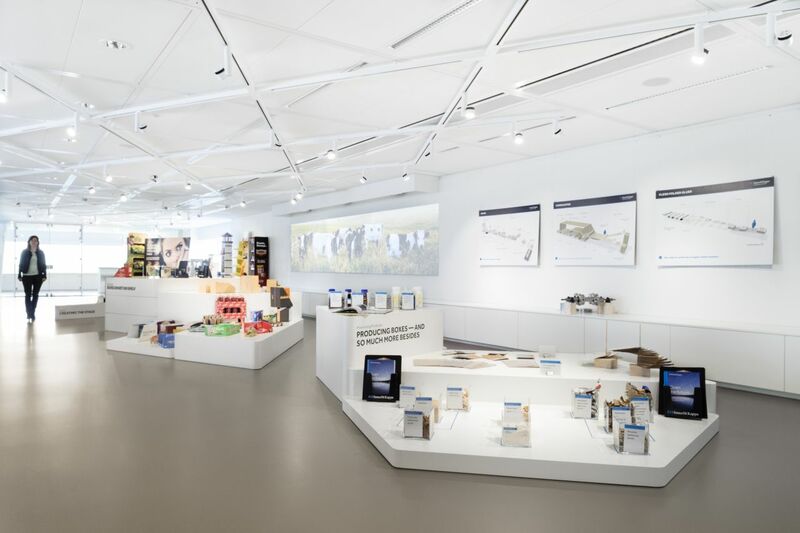 The exhibition with a virtual reality and inspiration room offers a hands-on experience of the innovative strength of Smurfit Kappa, world leader in packaging solutions. 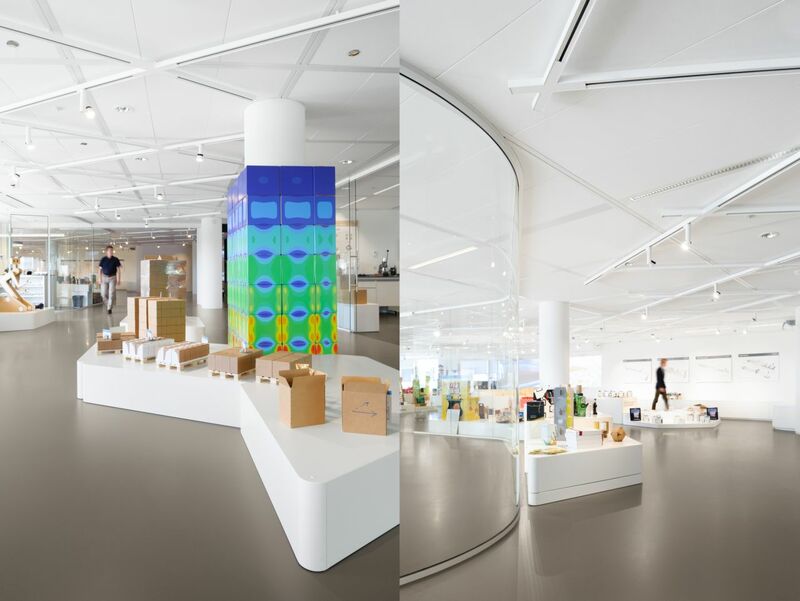 Curved glass walls structure the space, elegantly merging product display area’s with a laboratory, a retail space and workstations for employees. 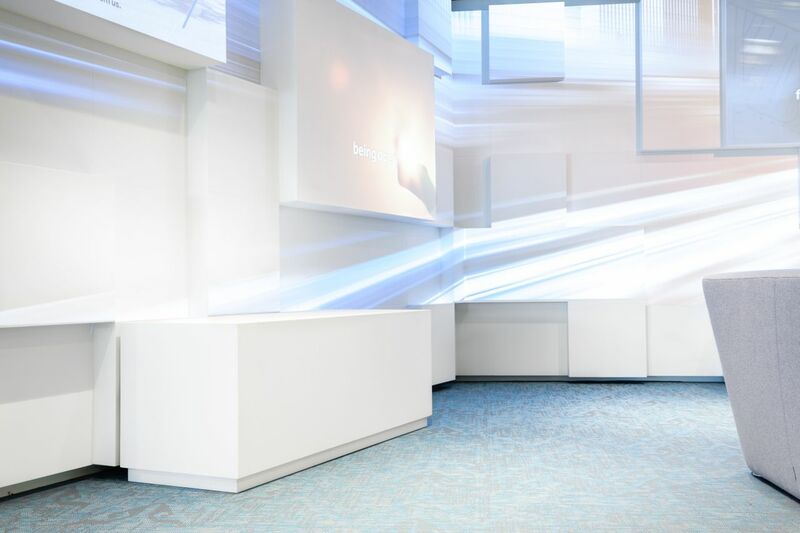 Shaped like stacked boxes, the eye-catching walls around the coffee bar and reception area come to life when projections of Smurfit Kappa are active. The product display area is characterized by modular podiums, which can be configured to form a hexagon, resembling an opened cardboard box. They can also be playfully arranged and allow packaging and innovations to become a true centre piece in the free flowing open space. Throughout the design special attention for light- and projection concepts result in different atmospheres, completely in tune with the demands for the experience. 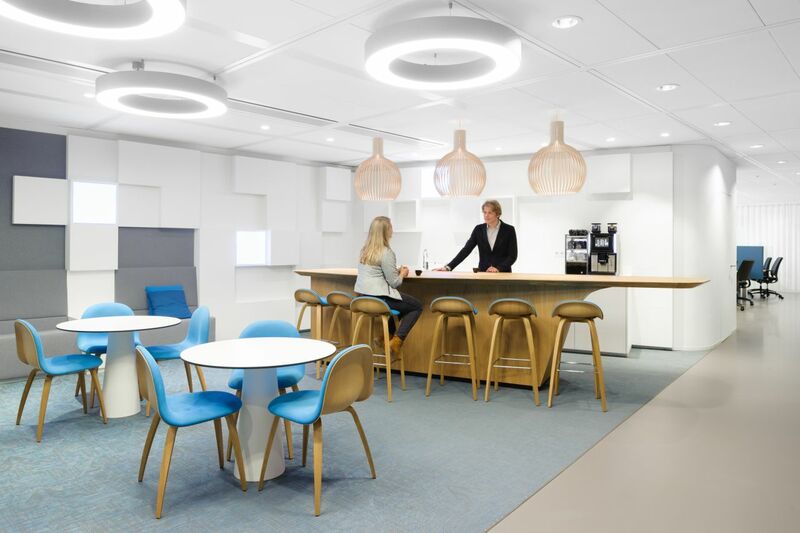 In addition the location is a meeting centre and office for employees of the global Smurfit Kappa concern.